Like any humans on this planet, we resist changes and adapt to it. Although there are interface changes that actually make things worse than the earlier version. I believe this is due to the rise of mobile platform that encourage web designer to create a unified interface for both desktop and mobile users. 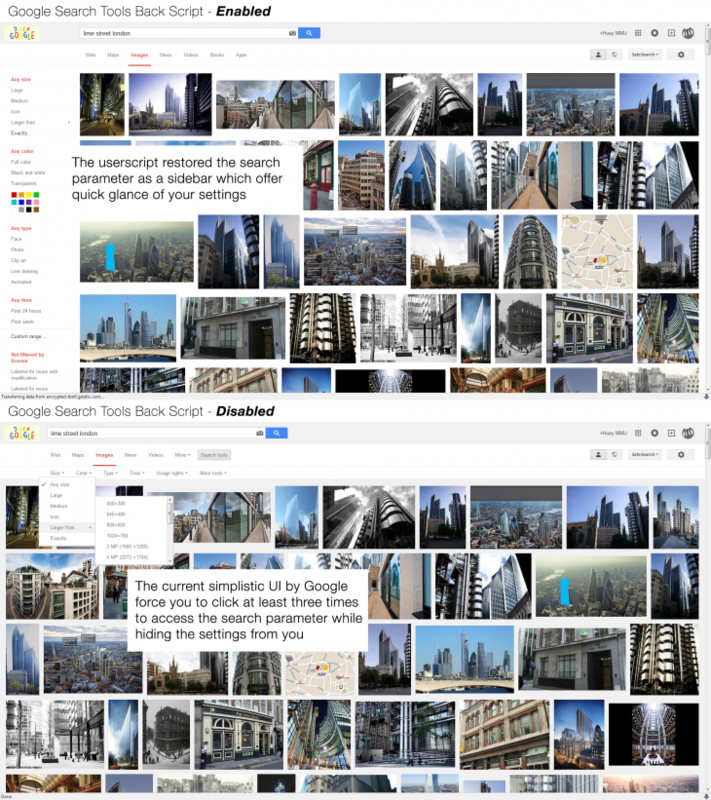 You can read more about the simplification behind the current search interface over here. 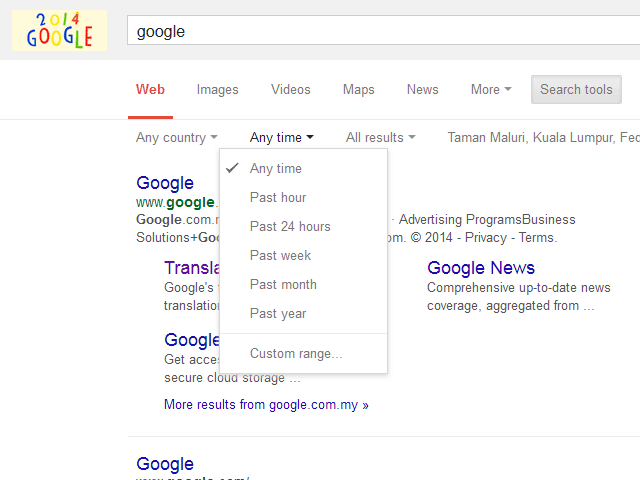 As a regular user of Google search engine, the current user interface is not user-friendly as one need to click several times to use a function. There is also the lack of immediate feedback on your current search settings which is annoying when you need to know at a glance but Google forces you to dig through the buttons again. 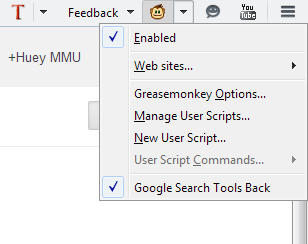 If you are using Firefox, you need to install Greasemonkey extension before you can use the user script. For Chrome user, you can skip this step as it support user script installation natively. Since UserScripts.org site is down since early 2014, we’ll be using the mirror version to retrieve the user script. Click install and confirm the pop-up dialog to complete the installation. 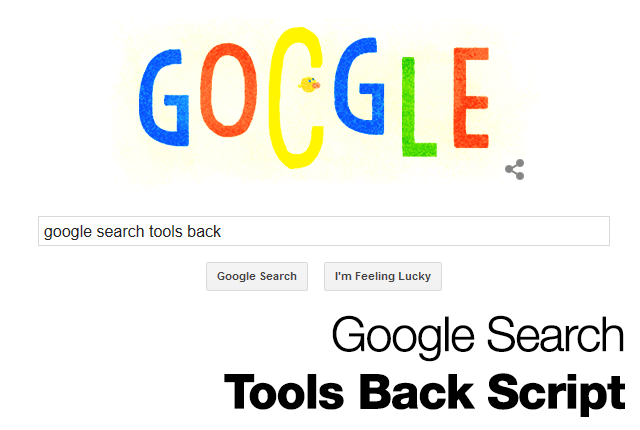 Update 24 Feb 2015: Use the script from https://userstyles.org/styles/95110/google-search-tools-back instead of the mirror version above as it breaks the current Google layout. ^Once done, you can click on the Greasemonkey icon and see that Google Search Tools Back script is active with the check mark next to it. 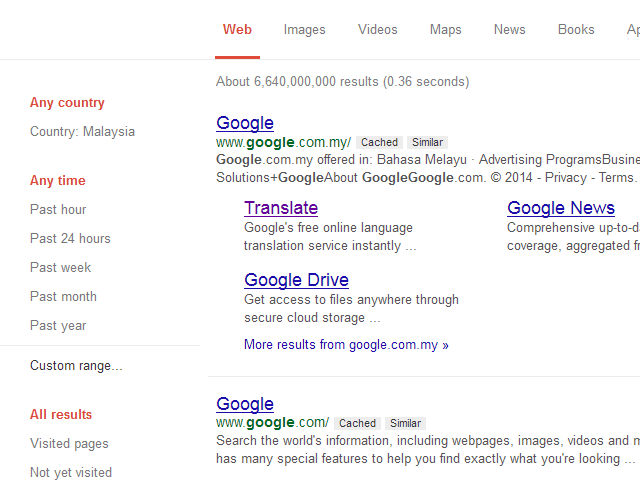 ^The above is the current Google interface which is the same across all platform. ^With the script, it relocates the search parameter to the sidebar that list down all possible parameters that you can click on. ^The above comparison is a full screen grab comparing both interface. The script will tremendously save you lots of trouble especially when you need to search with specific settings.